1:22 early juice disappeared - turned into am "MM stinker"
9:24 Sometimes one can trade the jobs report. One needs to use 24 hour data. The ADP jobs report sparked a rally yesterday. Overnight the market conjested in a flat region. Prior to the BLS report, a two hour resistance at 1424 was evident. 11/2/2012 1:49:36 PM MT BBB****:: Nice nella. I don't see you comment in here all that often - come around more! Have a good one. 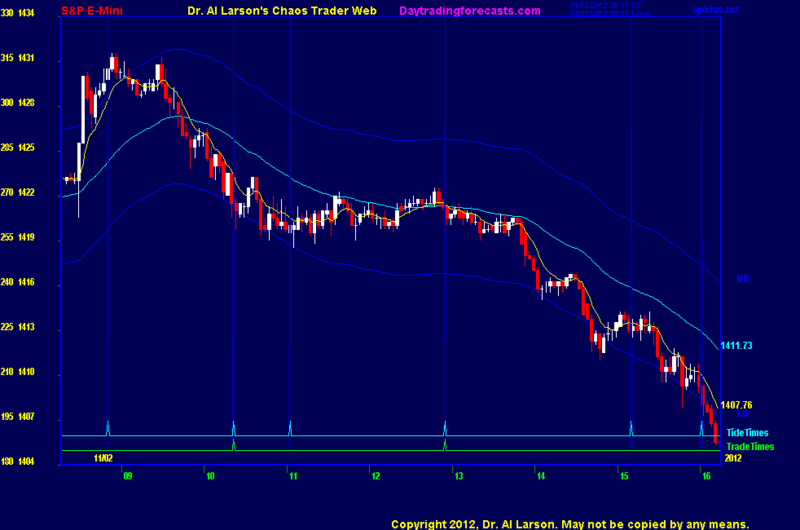 11/2/2012 8:11:00 AM MT BBB****:: Al, curious how you can say that trade time looks like it might be a low? Can you elaborate?